Managed a bit of a walk on Sunday in the glorious weather from Church Bridge (Troutbeck), up to Thornthwaite Crag and back via Troutbeck Tongue and Baystones/ Wandsfell Pike. Brilliant, envy in every image.. Thanks..
What a difference a week makes. I was up that way the Sunday before in rain and gale force winds but temperatures so mild there wasn’t a hint of winter. Excellent pictures. That's more like it, on our trip earlier this year it was dull as dishwater most of the time with not a trace of snow. We were going to do a version of that walk but were worried about getting over Kirkstone so did the Greenburn round instead. 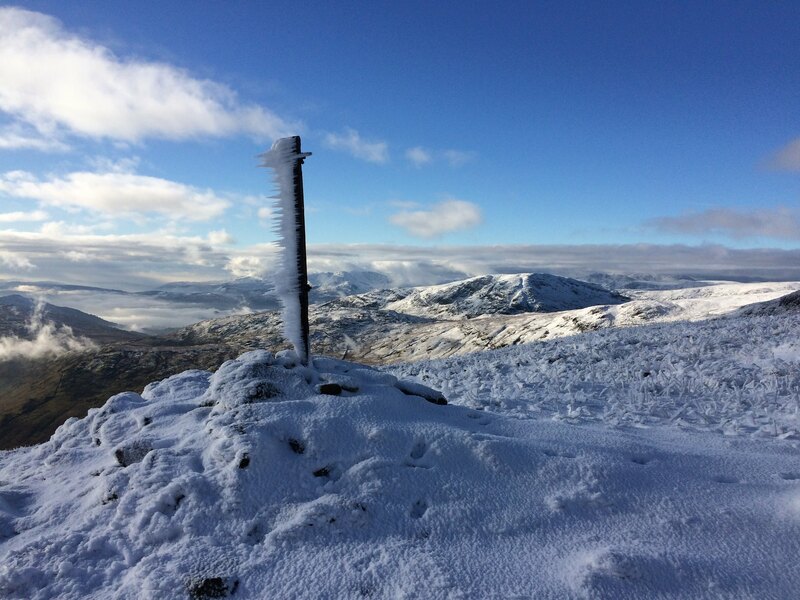 Lovely photos - particularly like the ice build up on the post! Great photos! It's been snowing fairly steadily all day here in the Peak District - hoping to get out for a wander in it tomorrow when we night have a bit of sunshine. Yes it was a bit wet the previous week. I was on the Fairfield Horshoe that weekend and it wasn't too much fun. As you say, what a difference a week makes. A friend of mine had a bad accident on Kirkston Pass on the Saturday so I decided to not even try it on the Sunday. Hoping it's not too bad this weekend as I'm hoping to head to Hartsop at some point. The Greenburn round must have been just as nice!!! It was a great walk. Thornthwaite is most definitely one of my favourites. Thank you once again everyone for your kind comments.